This is the month of baby quilts, have finished five tops, but only need four right now. At least I will be ahead. In the spring and towards the beginning of summer I make lots of plans for all that I am going to do, during the summer. Do I carry through? No. This is not new, I do this every summer. Summer passes and September comes and I get to work. I finally started thinking about this syndrome. I decided that it is because, summer is time to star gaze, play outside, garden, day-dream, read books, do handwork, sleep late, visit friends, take a vacation. Since I was a little girl I went to school, grew up went to college, became a teacher, then raised my family, everything revolved around school from September to June, except for about 4 years, when my three were infants and toddlers. I finally get it! It certainly has taken me long enough. So it is back to “school” until June and then take the summer off! So let’s see how much I get done this “school” year. The baby quilts are for our God-daughter’s second baby, a friend of my daughter, a friend who just became a grandmother and another who became a great-grandmother. 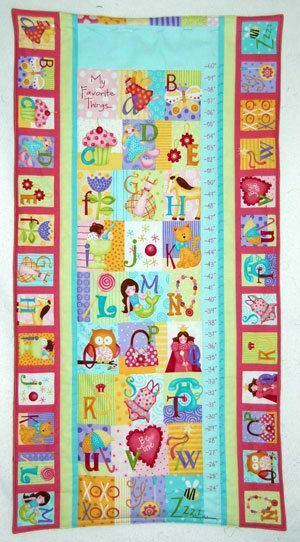 I like to make quilts for new grandmothers and great-grandmothers. 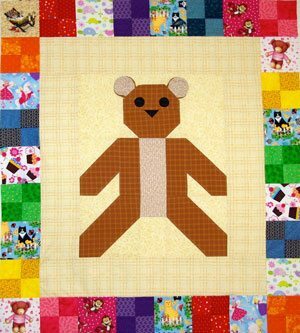 I am offering the baby bear quilt pattern for free on Craftsy and the star quilt will be there as well, when I get the pattern written up. Electric Quilt was my helper in designing the star quilt. I made four bear quilts, and one star quilt. I have had the bear quilts all cut out, but just now got around to piecing them. 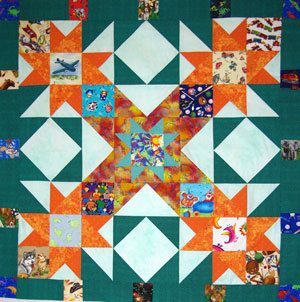 The colors and novelty prints are different on the bear quilts, so each one is unique. The bear itself is flannel, so there is added texture to the quilt. 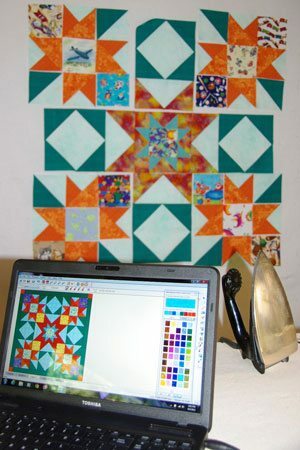 I set my computer on the ironing board so I could look at it while I put the pieces for the star quilt on the design board. We had an exchange of novelty print squares in our guild, so I was able to use some of them in this little boy’s quilt. It could be done in pastels and squares of flowers and fairies for a little girl. This grow chart is for our God-daughter’s little girl. Will spend the next couple of weeks machine quilting! And then on to some more projects. How are you coming along on yours? Do you need some suggestions? Some help in finishing up those PHDs (Projects Half Done) Send me a note, I might be able to give you a helping hand. Do you have this summer syndrome as well? I would like to hear what you think about this.